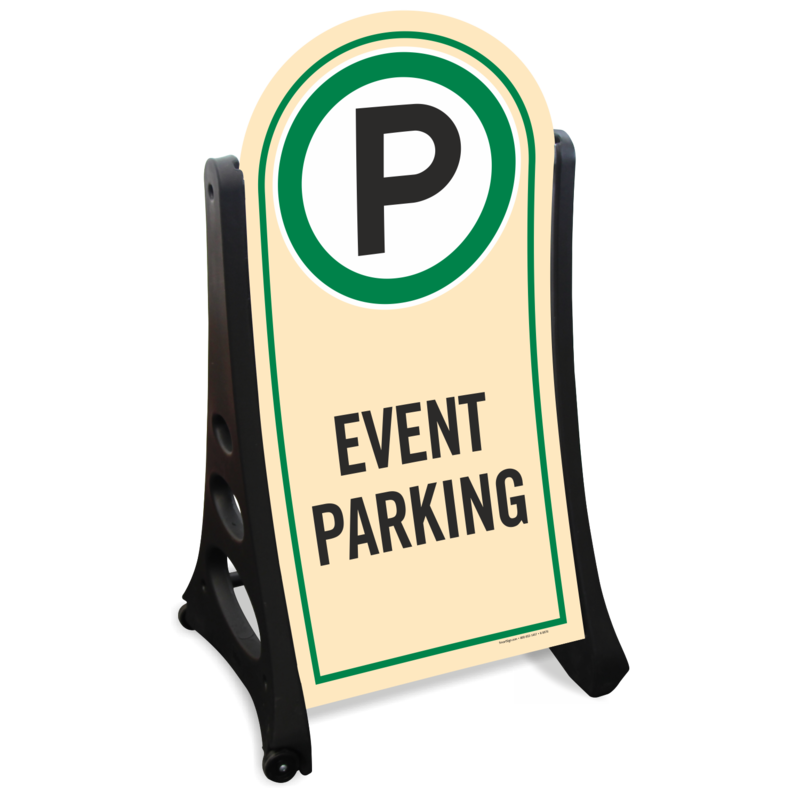 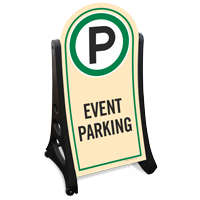 Temporary event parking zones can be marked easily with this portable sidewalk sign. 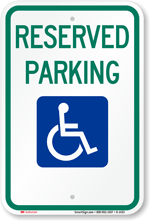 • The wheels of the sidewalk sign offer unmatched portability, no lifting or carrying -- just grip and roll. 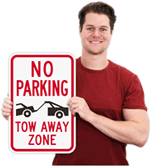 • It's easy to get your message out on the streets with sidewalk sign. 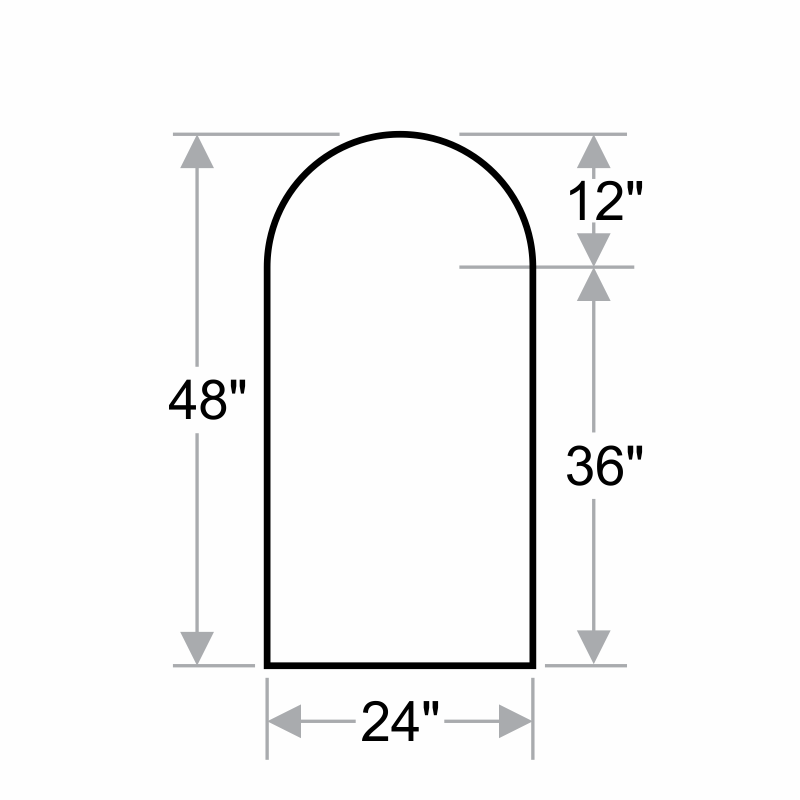 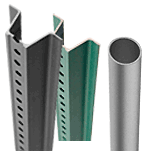 • Kit includes a sturdy frame and two24" x 48" signs.